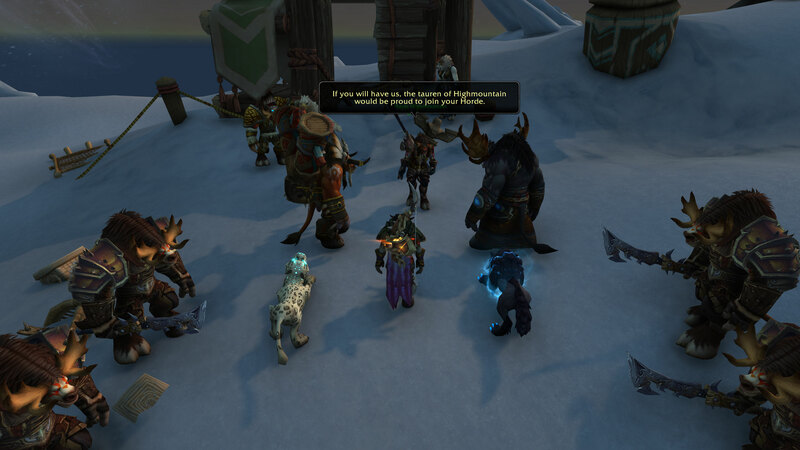 For the first time as a dedicated Horde player I am questioning my role in events. The pre-expansion quests have Sylvanas leading the Horde in a wholescale invasion of Alliance territory, quite clearly an act of war, and only very marginally justified – if at all. I’ve always liked Sylvanas, and loved her role in the Legion and BfA cinematics. She’s a true Queen, getting down and dirty with the rabble, and unleashing that banshee wail. I was proud to serve under her, and one of my oldest characters is an Undead Rogue who has always followed her Queen. But this war she has started is unsettling. Her justification – that we need to stop the flow of Alliance Azerite into Darnassus – is very flimsy, so flimsy that there must be more to it. 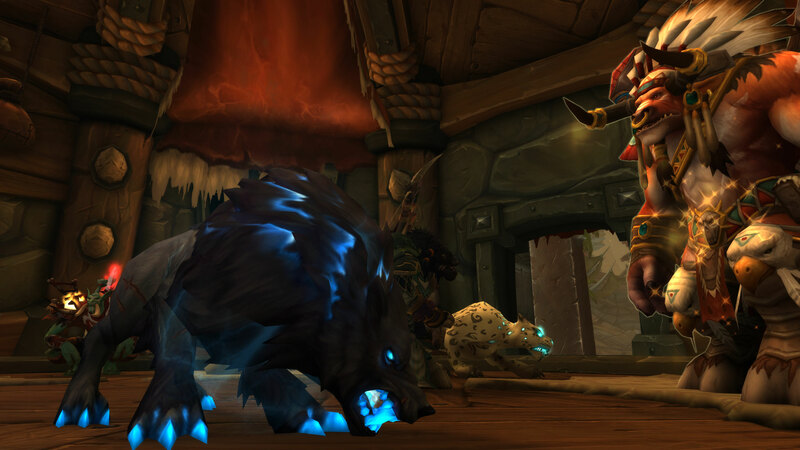 Taking my Tauren Hunter into the campaign alongside her felt almost like a betrayal – I don’t want to be doing this, and it feels wrong, but I’m following along because we must. I’d love to see the Alliance side of what is going on, it’s almost enough (but not quite) to use the 110 boost to jump in on the Alliance side and witness what they are experiencing. Is there another side to this story? It certainly feels bad dragging the recently recuited Highmountain Tauren into this conflict too. 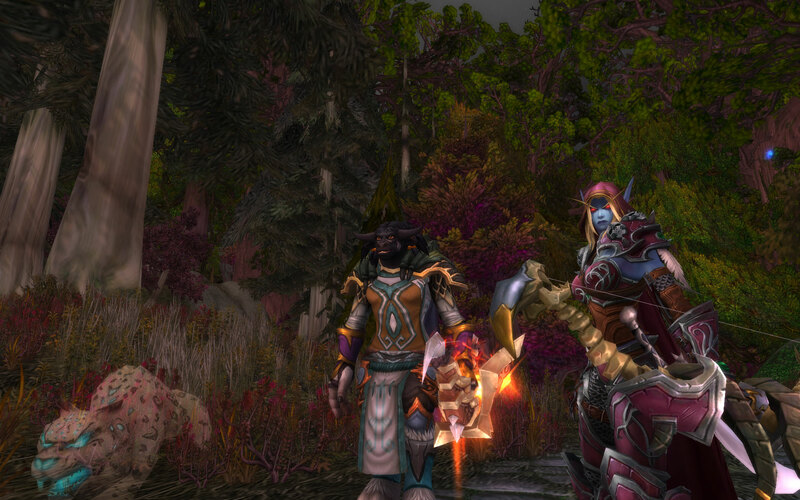 They joined the Horde in good faith having seen what we could do against the Legion and to defend their lands. Before they have time to breathe, they are being asked to join what appears a phony war with a dark and irreversible ending. Would they have joined if they knew what happened next? As Rohan at Blessing of Kings noted, this is different to what Garrosh did at Theramore, as we are personally involved. Garrosh was a monster, but one we didn’t have to follow directly into catastrophe, which is where this feels like it’s headed. Rohan is right that we should applaud Blizzard for committing to the conflict and forcing the players to acknowledge it, but it’s also hard when you basically have no choice. We can’t conscientiously object. Having said that, it was interesting to see that it seemed like the bulk of attacking forces were Orcs and Goblins. I hold some slim hope that perhaps this is the time for Baine Bloodhoof, son of the mighty and betrayed Cairne, to step up and hold the moral line. A Tauren Warchief? Never say never.